Hello, dear blog! I haven't written in you since ages, and I realized that I would miss out transcribing life updates if I stayed away any longer. There hasn't been much in action, but at the same time, life has never been as good. Okay, it has, but this kind of good has come after a long time. I've had such a change in perspective on a lot many things, it feels like I've learned so much more in the past few months than in the past few years, and that I'm finally, 'living'. 1. Spend hours each day excluding weekends at work, mostly reading, writing, reading some more and hoping against hope that my eyesight is not affected. The evenings are spent chilling at home, talking to friends, visiting relatives or the market or the park, reading websites and articles or for the most part, browsing the shelves for something new and interesting to read. Thankfully, I've managed to collect quite a bit. That reminds me, I've had people remark how I manage to get those books. What do you mean how I've managed? It is very much possible if you refrain spending on ridiculous restaurant food, if you don't over indulge in shopping, if you basically prefer books over anything else. It is very much possible. 2. Read different kinds of books, experimenting with genres I never tried before, and reading between the lines. This is one of the new things that has happened, for I no longer read just the words to get what has been written, but almost naturally, also look at the author's intention, writing style, phrases used, metaphors, character sketches, etc etc. I say naturally because I've been given a grand, vast view of the inside world of books, and it makes me just so curious to get to the depth of words! 3. Getting an insider's view of the publishing industry has made me very happy indeed. It's not all glamour or as perfect as the final results a.k.a books are, but it gives me a lot of satisfaction. To be a part of the process that once made me very happy as a kid, is amazing. True, it gets dull and dreary every now and then. You get bored, doubt yourself, sometimes multiple times a day, get frustrated when things go slow, but it can be endured if you always have a larger goal in your mind, and you know that the dullness of the present is anyway important to help you achieve those goals. It sometimes gets sad too, when you realize that the things you consider sacred are not treated as well in the places where they are produced. There is a lot of work, and people get frustrated. Businesses need to earn money, and sometimes it feels like it is only for money that books get traded, which of course is not true, but it just seems like it sometimes. What is necessary is to stick to your own beliefs, treat books as sources of knowledge/wisdom/entertainment/whatever at your own end, and do your work to the best of your ability. It is also sad to see hundreds of people writing books. That's not bad, actually, but the fact that they are mostly overconfident people who already call themselves authors before being published, believe their work to be a masterpiece while it is indeed, for want of a better word, trash, is quite disheartening. It used to bug me a lot earlier, but now since I've grown used to it, I feel somewhat emotionless most of the times. But it still annoys me sometimes. People are seriously deluded. 4. Traveling in the metro has become ... monotonous and irritating for the most part. I so wanted to do a separate metro diaries post, but I don't think it would be well-deserved. Ever since the first women-only coupe started, I've always traveled in that, except for a few times. 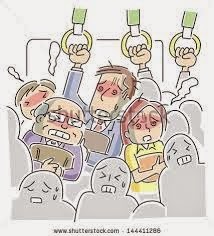 The trouble is that I'm not the only one who made that decision, so the first coach is always excessively crowded. You'd think that stuck between women (as a girl yourself) would be way better than being among creepy-guys-who-think-a-girl-in-their-coach-is-a-rarity (don't you go berating me for generalizing or whatever, because there are a lot of such creepy weirdos). Anyway, you might be right, but only partially. - A majority of women travelers will NOT budge more than a couple of inches when you need to pass them to get to the door because you have to get down at the next station. - You will find some who fix themselves at the doors, completely disregarding the crowd behind them. Incidentally, the fixture doesn't need to get down at the next ten stations at least. It just doesn't want to literally gel with the crowd. And to add to that, they have the audacity to look angry when you unknowingly push them a little while getting off. Sometimes I do not even push unknowingly, but it has no effect whatsoever. - Apart from Rajiv Chowk or other major stations with guards overseeing the queues on platforms, people will never learn that they are supposed to stand on the sides and leave space in between for those who wish to get out. In fact, if you are the ones standing on the side, you would be the last person to board the train. - God save you during the rush hour! You would be squeezed in from all sides, your arms would be coiled around bulging waists of at least four different women, your nose would be desperately seeking a bit of fresh air, you would be assaulting your toes to stand a little higher to breathe in right at the air conditioners, your hair would be a foot or two away from your body, and the steady brush of hard cloth at your ankles would make you feel secure that your bag has not yet been washed away by the sea of jostling women. - There is something incredibly putting off about having cell phones in hand. Even when there is no space to stand. Even when other people are suffocating and struggling to stand on their own two feet, some people demand extra space for their cell phones, because they cannot bear to part with those even till the distance of their jeans' pocket. Urghhh! - There has hardly been a metro ride where I haven't had generous intake of someone's gastric misadventure. Even in a fifteen minute ride. 5. I've taken to baking cakes! Yay! 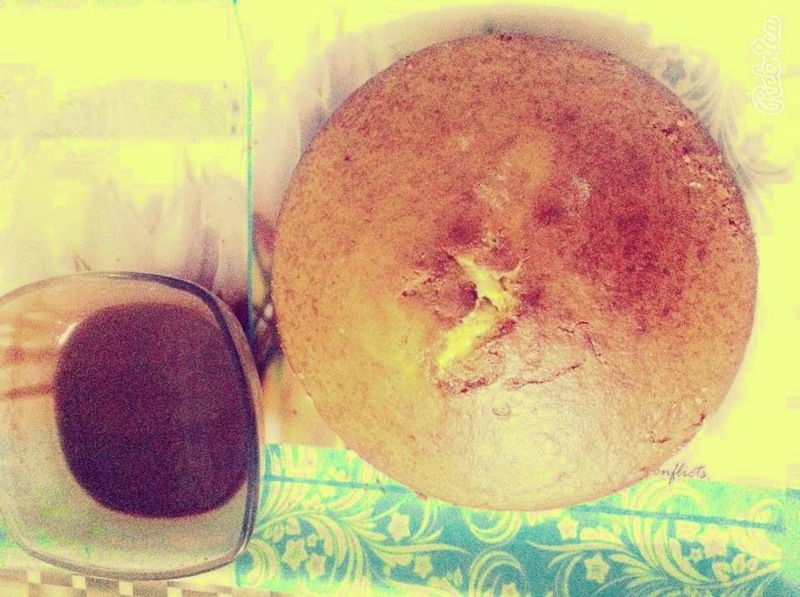 The fact that till date, the first two cakes were entirely flawless (one with eggs, one eggless) and the others were not-so-great experiments, doesn't matter as much because whoever talked about baking being such a stress-free activity was so right. There is something very relaxing about baking a cake. I was at first alarmed looking at the ingredients, going all 'Whoa. SO totally unhealthy', but once in a while is okay, I guess (or else all those with a sweet tooth would murder me anyway). Trust me, this was the most delicious experiment ever! 6. Feeling that gut wrenching feeling whenever I find a great children's book, because I don't know, I feel just. so. drawn to them! They're the best kind of books. Ever. - I'm still working towards making a career in something I believe in, and love. - I am anyway too blessed to feel jealous of anyone. PS- Did you realize the post has nothing to do with the title? I might call myself a social recluse, but the real story behind the title is just this - type anything random if you don't get an idea within ten seconds. Tada!! 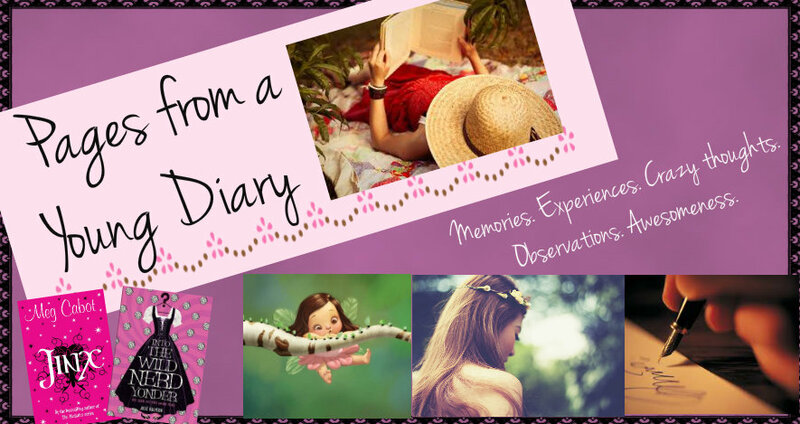 Anyway, I am so happy that you are back on the blog and would hopefully stay and write and tell us about your experiences and would share anecdotes. I love reading them, I have no idea why, but I do. Maybe just because I have come to recognise your blog as someone and not just something. Hello meester! I am very glad that you enjoy this so much, this 'someone'. :') Thank you very much for always being such a motivator. I really owe a lot to you. Hi, Ashna! Welcome back! :) It’s always so great (and interesting) to read what you’ve learned from being in the publishing industry. I can never get over how awesome it is that you’re part of something you’ve admired for so long. But I see how it can get disappointing, too. Getting a closer look at something you admire can really make you feel more cynical… even when you know that publishing, above all, is a business. I’m also saddened by the fact that a lot of the books you see (that are submitted to you?) don’t meet your standards. :( I’m trying to think of it as… the authors' being babies?? Everyone needs guidance and a good, insightful editor, at the very least, to get published, and they probably don’t have that. I hope they’ll read a lot more and be able to understand writing, pacing, etc. better and improve their work, so that next time you see their stuff, you’ll be impressed! I'm so glad you liked that term! I did spend a minute or two to come up with it.